This blog is used for broadcasting information about transport and parking at the University of Kent. The Campus Shuttle will start running again from Monday 16 January 2017. The online booking system is available from today at www.kent.ac.uk/campus-shuttle. Booking guarantees you a seat on the service. If you do not book, you can still travel with your Kent One or Kent Union card if seats are available. 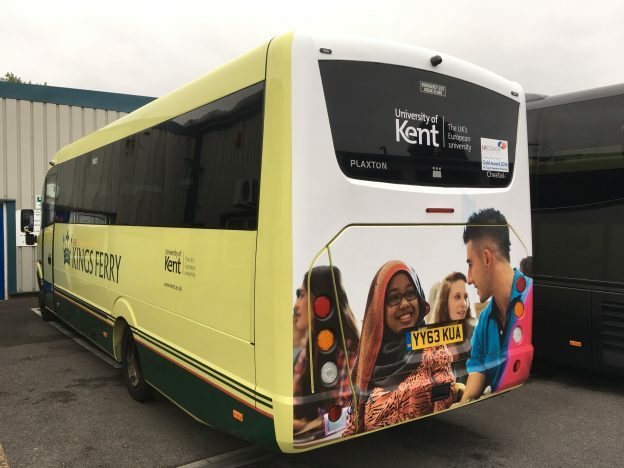 The Campus Shuttle is a free shuttle service between Medway and Canterbury campus that runs 7 days a week during term time. See timetable online. This entry was posted in News and tagged booking, campus shuttle, transport on January 10, 2017 by Miriam Sandiford.